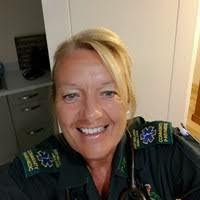 Local paramedic Tracy Cunningham is set to receive the national ‘Outstanding Service’ award from the Association of Ambulance Chief Executives at their Gala Awards Dinner. She was nominated by General Manager Tim Slater for always “going the extra mile” both in work and for her local community in Ilkeston. As well as her day job saving lives, Tracy mentors new staff, coaching and encouraging them throughout the first few years of their career, and offers emotional support to colleagues as a Peer to Peer volunteer. And this winter, Tracy ran the Ilkeston Winter Shelter for homeless people at St John’s Church from Christmas Day to the end of February. This refuge provided a warm, dry place for people who would otherwise have been sleeping rough in freezing temperatures. Most impressively, Tracy has worked with the council and charities to get 13 of their guests into permanent accommodation. Tracy was surprised to receive an email telling her she had been selected for the Outstanding Service award. She said: “I had to read it three times, and I was so shocked. It’s nice to be noticed for making a difference.